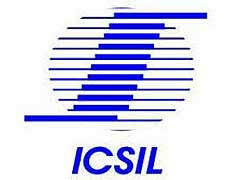 ICSIL Recruitment 2018 Various MTS Vacancy Apply through Official website www.icsil.in. ICSIL invites Off-line applications for appointment in following MTS post in Intelligent Communication Systems India Ltd. Candidates are requested to Download Application through Official website www.icsil.in. The last date for submission of applications is 30.07.2018. Other Details Like age limit, Educational qualifications, Selection process, Application Fees and How to apply are given below. Candidates who have completed 10th Pass or equivalent from a recognized Institute are Eligible to apply ICSIL Recruitment 2018. One time Registration fees of Rs. 1000/- (Non-refundable) shall be taken at the time of final Joining. 6. Hard Copies of the signed application (registered online) along with photocopies of (i) ID proof (ii) Proof of Date of Birth (iii) Educational Certificates: Mark-Sheets/Degree Certificate (iv) Caste and attested copies of relevant documents should be addressed to “Reception ICSIL 1 st Floor, Above Post Office Okhla Phase-3 NEW DELHI -110 020” by post so as to reach us by 30.07.2018. TN Govt Jobs 2019 Copyright © 2019.